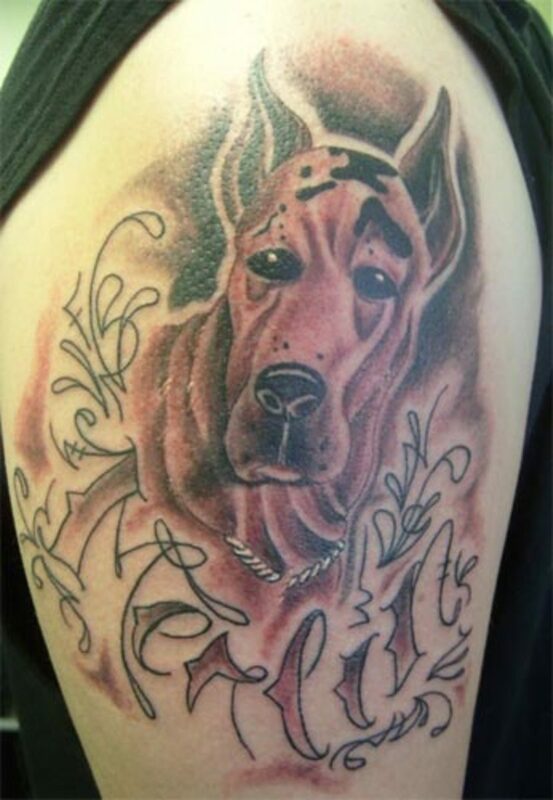 One may get a tattoo of a dog for various reasons. But, most of the time dog tattoos are a memorial for a beloved pet who has passed on. Some breeds represent different characteristics that the person may want to have. Some breeds may represent a reputation that one would like. For example, an APBT advocate may get a tattoo of the breed as a sign of loyalty, strength, and courage, but one who prefers their reputation, may get a tattoo of the same breed with a more viscious demeanor in order to represent power and the fear that is evoked from the breed.